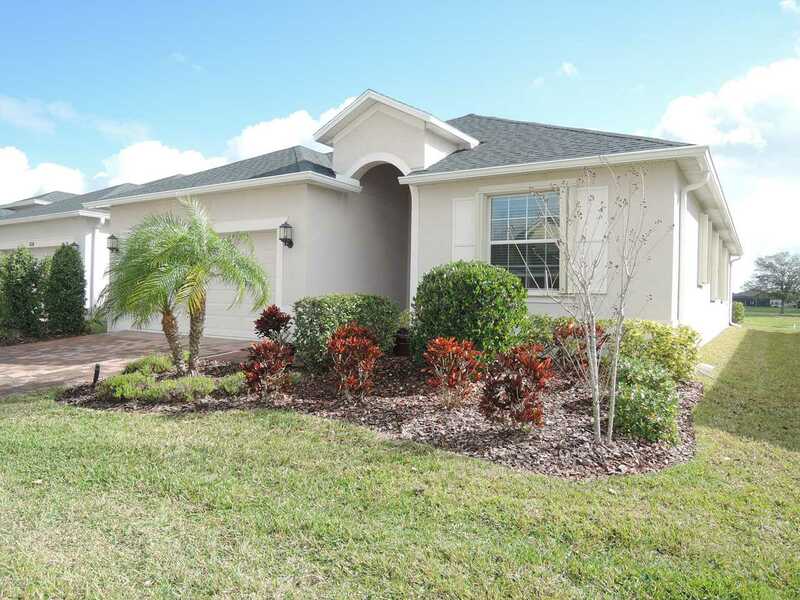 Enjoy easy living in Heritage Isles, a gated 55+ community, where the exterior and lawn maintenance is done for you. Relax on your large (30 X 31) screened lanai with a view of the lake and Duran Golf Club greens. The patio furniture, fire pit and large potted palms stay. Spacious kitchen with stainless appliances, quartz counters, pantry and breakfast bar. Diagonal tile in the main areas with carpet in the bedrooms. Open floor plan with 10 ft ceilings. Recently installed high impact accordion style hurricane shutters, pull to close and lock with a key. Paver driveway. Washer and dryer included. Hybrid water heater helps cool garage. Community includes Clubhouse, pool/spa, tennis courts, Bocce Ball and more. Close to The Avenues for shopping, many restaurants, Brevard Zoo and VA clinic. Master Bedroom 14'11" X 14'8"
Bedroom 2 10' X 10'2"
Living Room 14'11" X 14'11"
SchoolsClick map icons below to view information for schools near 6327 Klein Lane Melbourne, FL 32940. Listing provided courtesy of Trafford Realty Co..